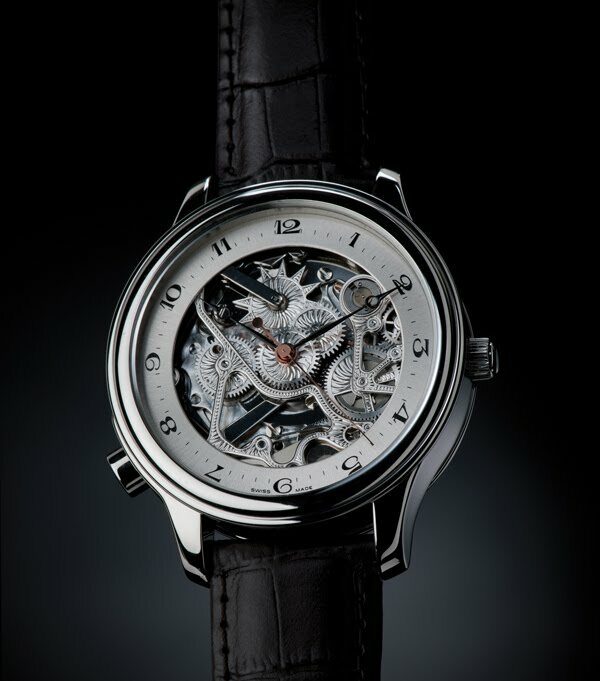 A skeleton watch and minute-repeater, Répétition 5 captures the spirit and savoir-faire of Claude Meylan. Pinions, wheels and gears form an orchestra that sounds the hours and five-minute intervals on demand. Time told in music, and a celebration of mechanical beauty, precision technique, and the sobriety of the whole. A masterpiece in steel or in gold, dedicated to one of the most prestigious watchmaking complications. Proposed as a 100-piece limited series.